Vada Pauline Gross, 96, passed away Tuesday, November 20, 2018 at her home in Mt. Vernon, Illinois. She was born July 4, 1922 in McLeansboro, IL to Ernest “Cap” and Iva M. (Pierce) Ray. Vada was a home maker and a retired insurance agent as well as a member of the Providence Community Church in Opdyke, IL. Vada is survived by three daughters: Verla Mae (special friend C. E. Cooper) Keele of Mt. 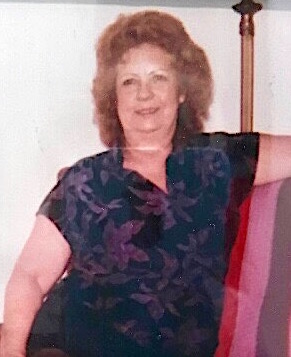 Vernon, IL, Patricia Marie Hampton of Mt. Vernon, IL and Davita Sue (David) Head of Murfreesboro, TN. Also surviving are ten grandchildren, twelve great grandchildren and four great-great grandchildren. She was preceded in death by her parents, husband, Charles E. Gross, one infant brother and five sisters. Funeral services will be held Sunday, November 25, 2018 at 1:00 p.m. at the Gholson Funeral Home in McLeansboro with the Rev. Benny Webb officiating. Visitation will be held Sunday, November 25 from 11:00 a.m. until the time of service at 1:00 p.m. at the Gholson Funeral Home in McLeansboro. She will be laid to rest at the Hickory Hill Cemetery near Broughton, IL. In lieu of flowers, memorial donations may be made to the Hickory Hill Cemetery Fund and will be accepted at the Gholson Funeral Home in McLeansboro.